Ethanol-run green buses to be added to the Starbus fleet! With Nagpur traffic spiralling out of control these days, there is some good news for those concerned about increasing levels of pollution. 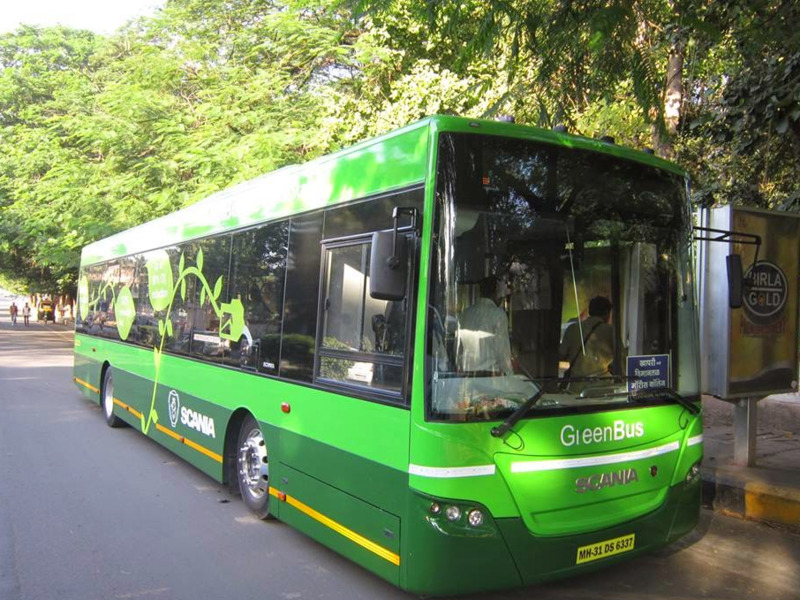 Scania, a Swedish company has been roped in to provide 55 ethanol-run Green buses for the city bus service, a first for India. These buses will hit the roads in mid-November, and will ply in addition to the existing Starbus fleet. Three designated operators will be responsible for the O&M of the vehicles, which are air-conditioned and designed with a view to maximise passenger comfort. The Nagpur Municipal Corporation will receive a share in the revenue, in addition to the revenue from advertisements and rent from the allotted parking land. This effort by the NMC is laudable, and can go a long way in lessening the pollution levels in the city as well as reducing the traffic on the roads. It remains to be seen how willing Nagpurians are, to adopt this eco-friendly, passenger-friendly means of public transport and do their bit.